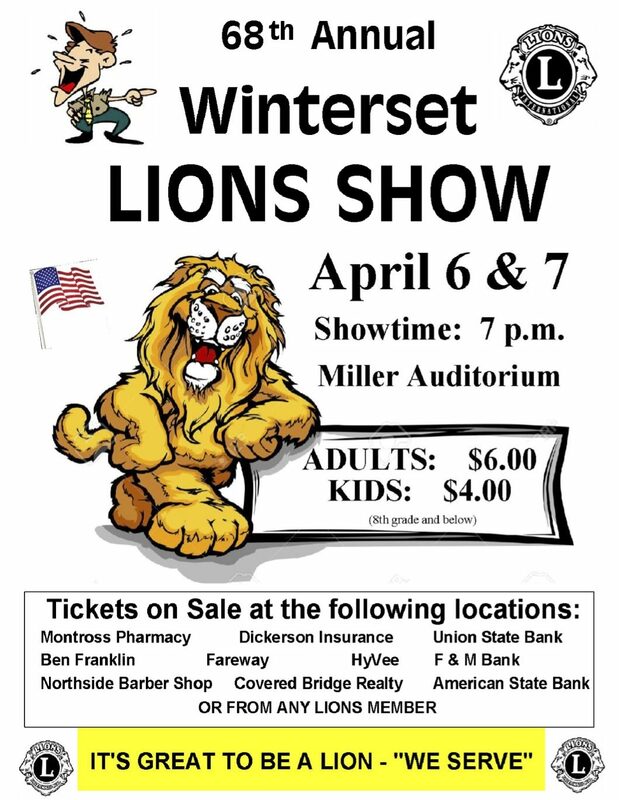 The 68th Annual Winterset Lions Show opens tonight at the Winterset High School auditorium! Tickets are available at the door, or you can purchase them in advance at any of the locations listed below. In addition to music from the Lions Community Chorus and laughs by the notorious Specialty Crew, this evening’s show will feature Amy’s Dance Studio, the WHS “Jazz Inc.” Jazz Band, the WHS Velocity Jazz Choir, and more. Friday’s show will include the national champion WHS Dance Team and the WHS Jazz Band, just back from their top ten performance at the state finals in Ames. Choose your night or go to both — you won’t be disappointed. 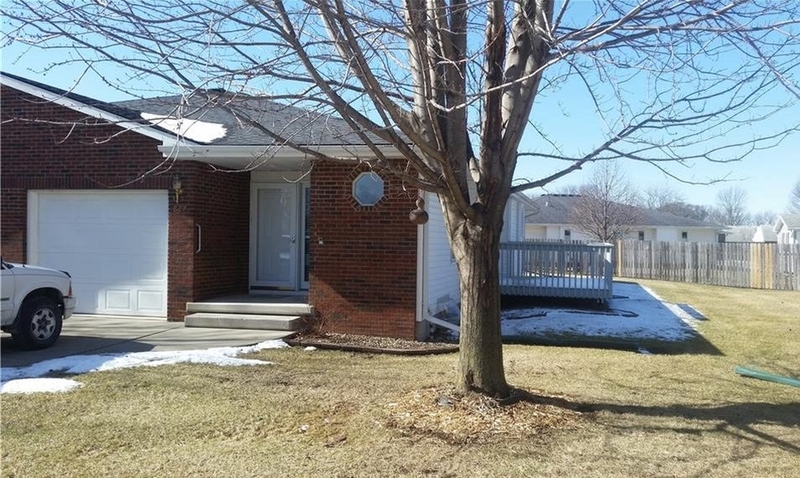 Bring your Cracker Jack money! 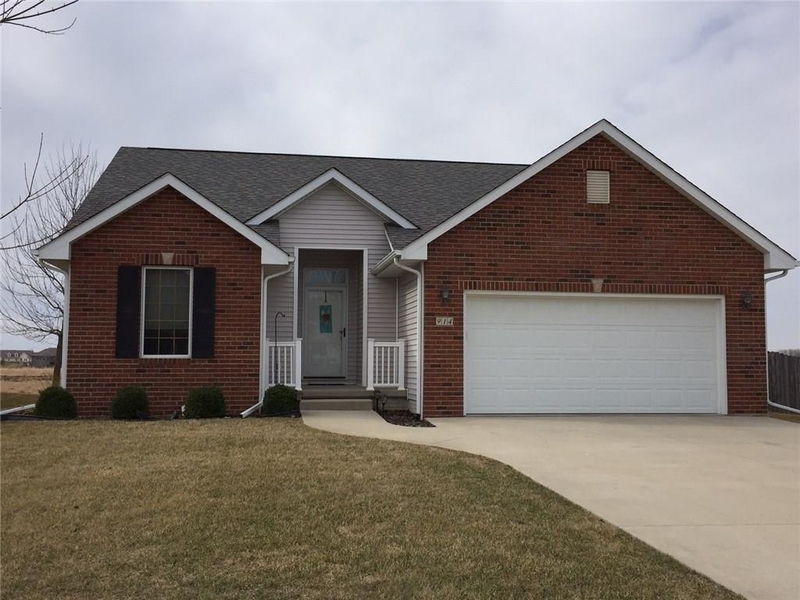 Stop by the Jackson Building on the Madison County Fairgrounds this Saturday from 9:00 to 5:00 or Sunday from 10:00 to 4:00. 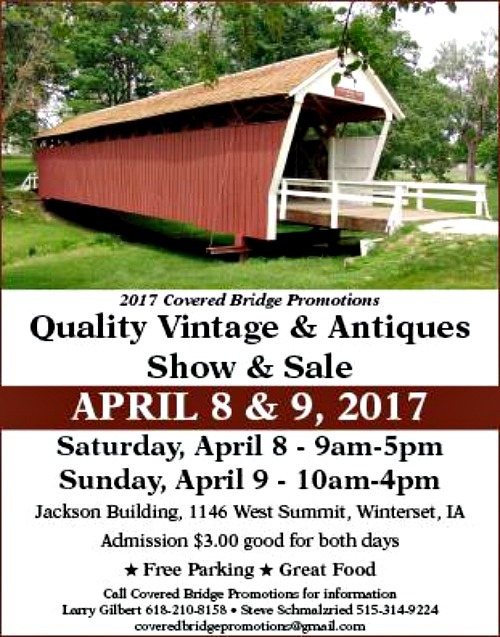 The Covered Bridge Antiques Show & Sale will feature over 20 vendors and dealers across the Midwest, including Iowa, Colorado, Kansas, Missouri, and Illinois. Items will include jewelry, glassware, coins, primitives, toys, silver, and more. Lunch will be available by “Two Ol’ Grannies” on site, featuring giant cinnamon rolls, soups and sandwiches. $3.00 admission at the door is good for both days. 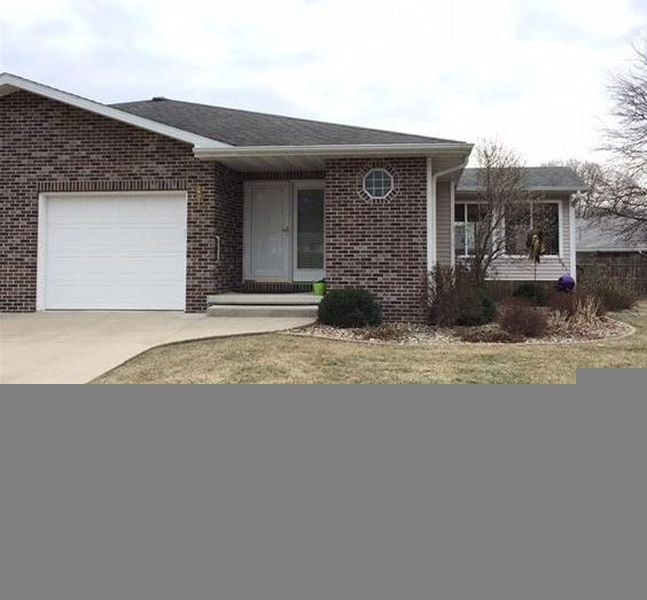 For more information, contact Larry Gilbert at 618-210-8158, or Steve Schmalzried at 515-314-9224. This Saturday morning from 8:00 to 11:00 am, join local birder Sharon Bauer for a morning of birding/waterfowl watching at Jensen Marsh. The last waterfowl birding session resulted in a list of 25 bird species spotted in the wetland area. The morning is often the best time to view birds on the marsh, so expect this session to be even more active. 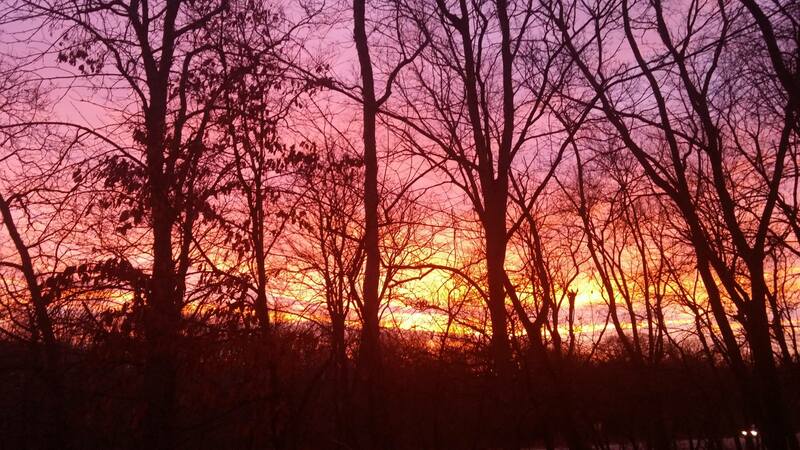 Bring your cameras and binoculars and meet Sharon at the East Gate of Jensen Marsh at 8 am. If you’ve never been to Jensen Marsh, click here for information and directions to this area. Open to people of all ages and skill levels. 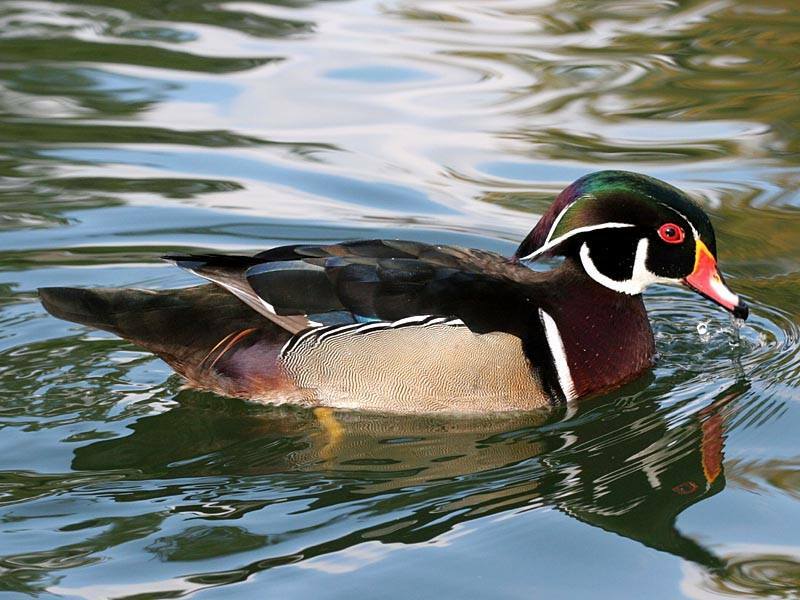 Go birding at Jensen Marsh on Saturday, April 8 from 8:00 to 11:00 am. Bring your camera! 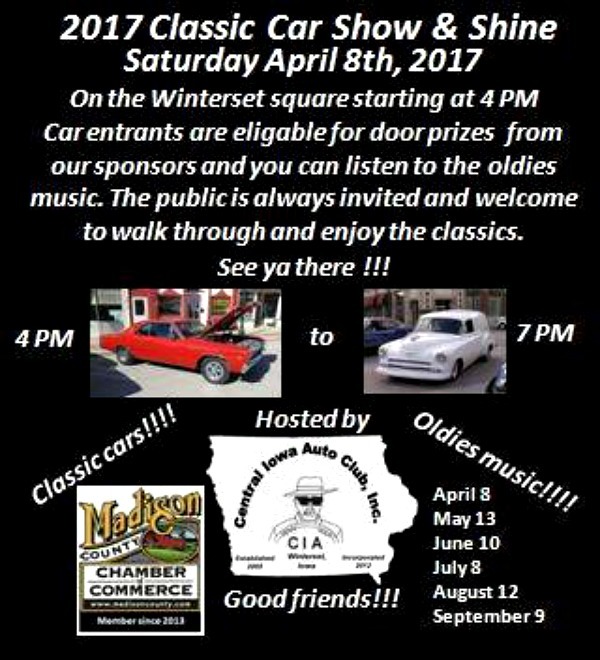 Hopefully the weather will warm up for the first Classic Car Show & Shine of the year, hosted by the Central Iowa Auto club on Saturday, April 8th from 4:00 to 7:00 pm on the Winterset square. 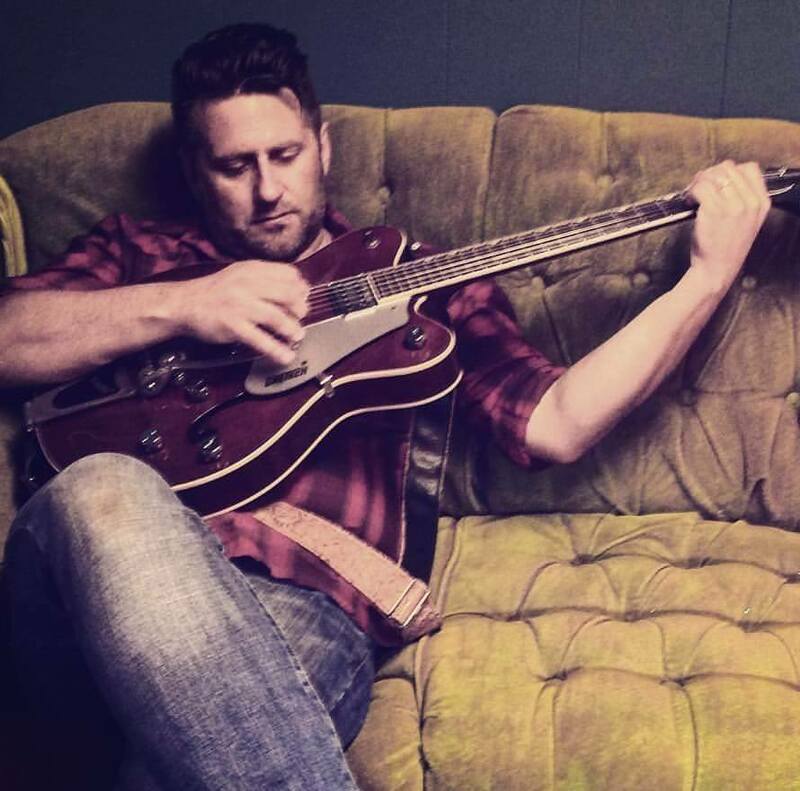 Also on Saturday evening, Chad Elliott will provide live music and entertainment at Covered Bridges Winery from 7:00 to 10:00 pm. Averaging more than 200 shows per year, Elliott has been on the road for nearly 20 years performing a blend of Americana, roots and country music. There’s a $5.00 cover at the door, and Parlo Pizza will be serving from 6:30 – 8:30. Catch Chad Elliott at Covered Bridges Winery, Saturday night from 7:00 to 10:00. 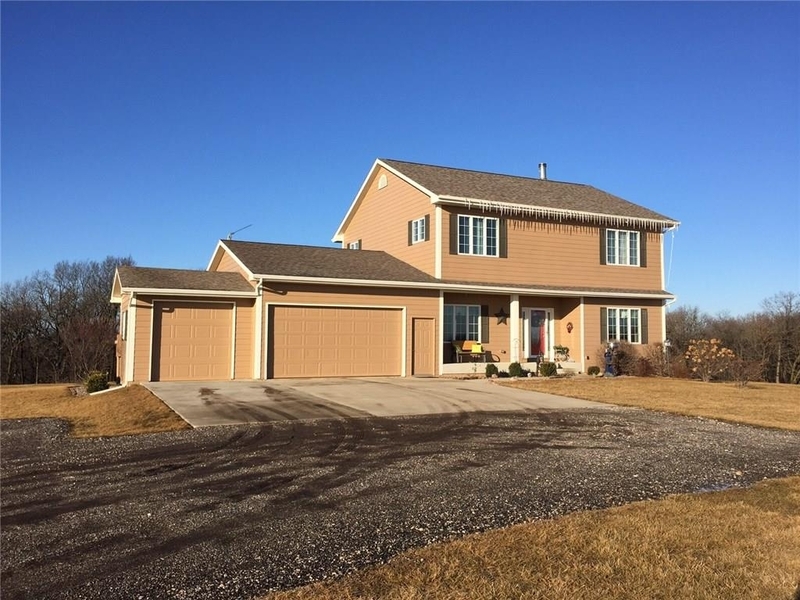 Open this Sunday, April 9th from 1:00 to 3:00 pm. The State Historical Society of Iowa’s new “Iowa History 101” mobile museum is a bright blue, custom-built Winnebago that travels the state’s highways and back roads to share stories from the past. It currently houses a 300-square-foot exhibition called “Iowa History 101” and is filled with artifacts from the State Historical Society’s collection. The mobile museum will visit Winterset on Sunday April 9th and offer free tours from 1:00 – 5:00 pm at the Madison County Historical Complex at 815 South 2nd Ave. The traveling exhibition is sponsored by EMC Insurance Companies, Casey’s General Stores, and Iowa State University Extension and Outreach. It is part of a trio of new exhibitions called Iowa 101 that digs into the bedrock stories that every Iowan should know. 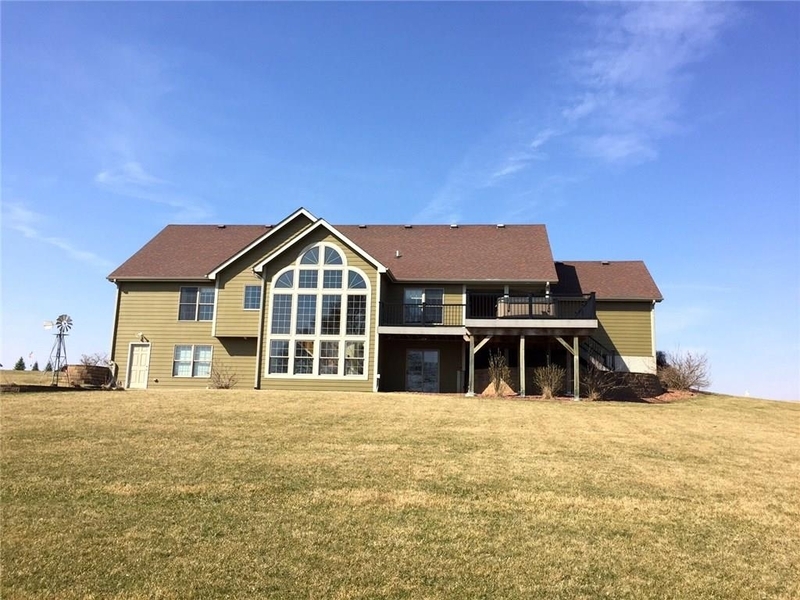 See the video for a glimpse inside! 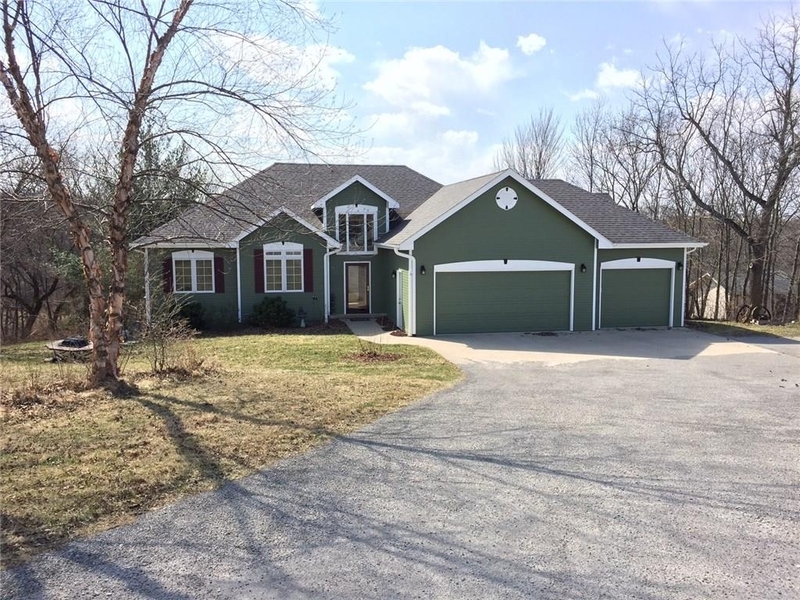 More information is available by contacting Jared McDonald at 515-462-2134. On Tuesday, April 11th, join Naturalist Amy Holley for a Sunset/Full Moon Hike down the backbone trail to view the sunset over the Pammel Park Fjord before hiking back up the trail as the full moon rises. 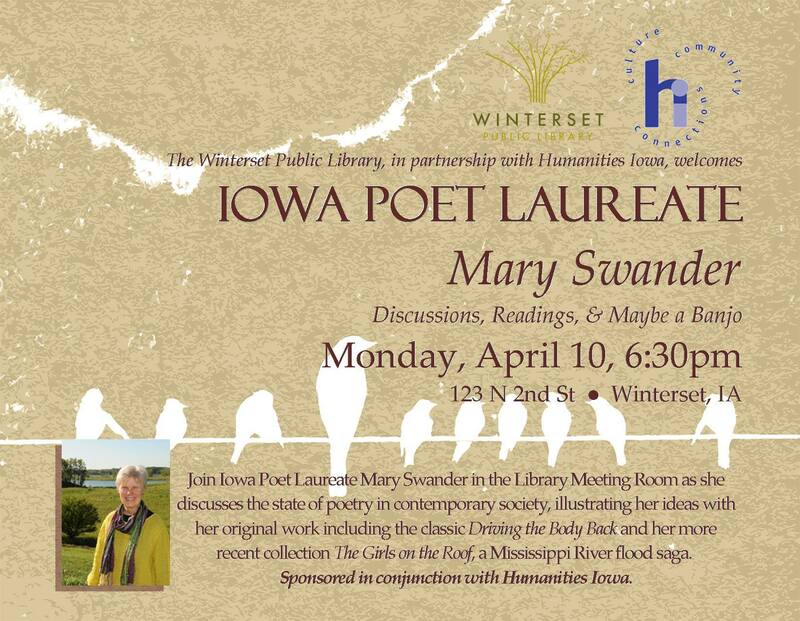 This event is open to people of all ages. 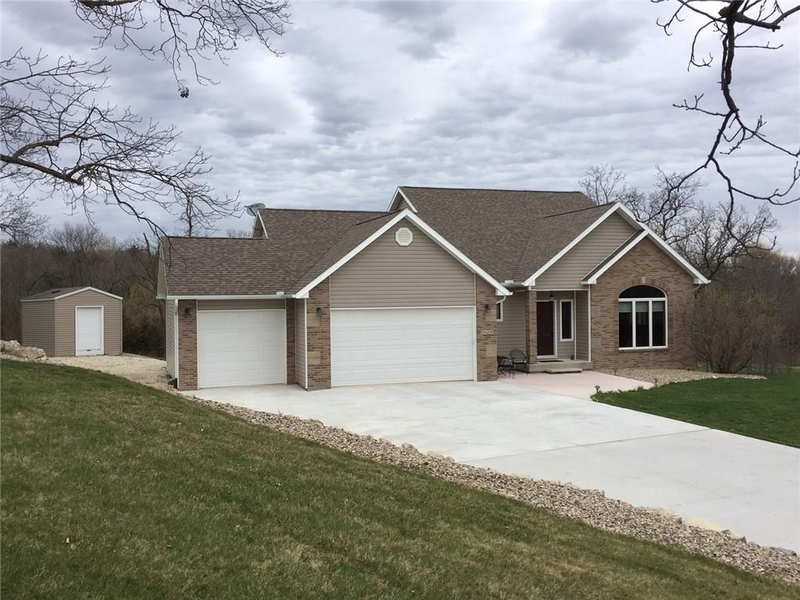 Just meet at the Backbone Shelter in Pammel Park at 7:00 pm. Pre-registration is requested but not required. 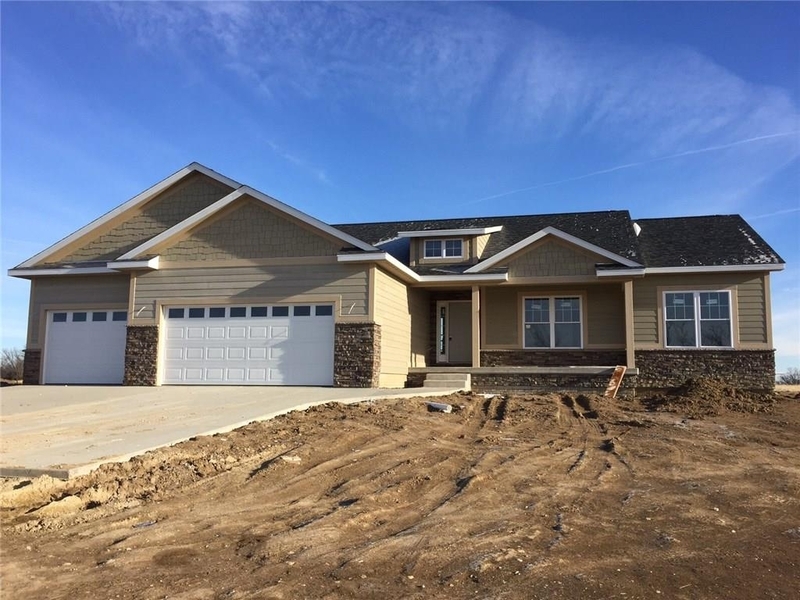 Call 515-462-3536 to register. If you are interested in having your pre-schooler experience art without having to haul out the supplies or clean up the mess, the Winterset Art Center help. Art Adventures for Preschoolers classes will begin on April 19th and run for four sessions. They are designed for children who are developing their fine motor skills and learning about the world around them. Classes will meet on Wednesdays from 10:30-11:30am OR 1:30 to 2:30 pm, your choice, on April 19, 26, May 3 and May 10. The class will be taught by Angela Newman with a curriculum designed by Amy Maiers, art instructor at I-35. The fee is $20 per child for art center members and $25 per child for non-members. Pre-registration is required. Contact Angela Newman at wintersetart2016@gmail.com to register your child. 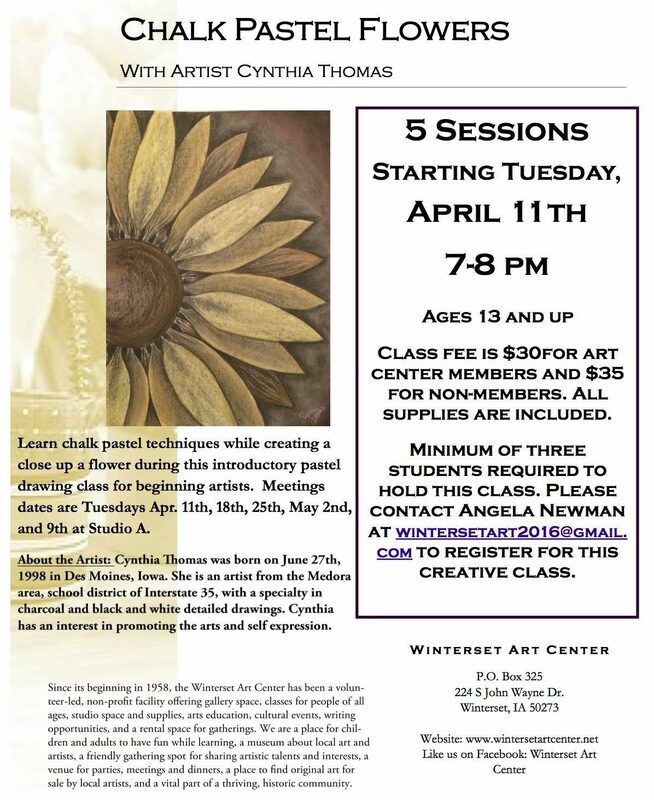 There will also be a five-week class at the Winterset Art Center starting April 11th, Chalk Pastel Flowers with Cynthia Thomas. 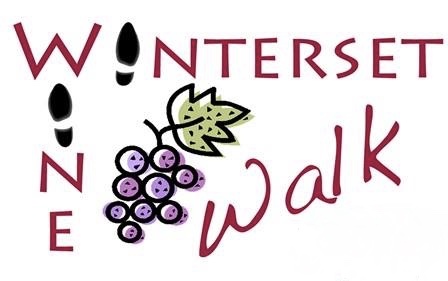 And finally, it’s a few weeks away, but tickets are now on sale for the 2017 Winterset Wine Walk, May 13th (Mother’s Day weekend)! 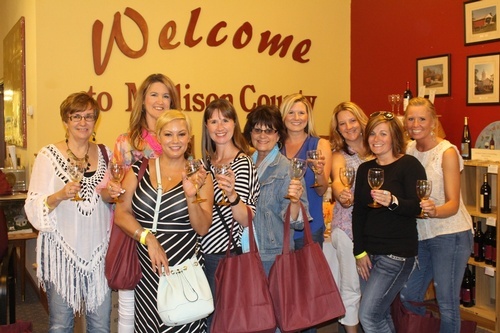 From 4:00 to 7:30 pm, join the Madison County Chamber of Commerce, downtown Winterset merchants, and area wineries for shopping, wine sampling, food pairings, live music, and more. For just $15.00 you can have a limited-edition, logoed wine glass for sampling and a $5.00 coupon towards the purchase of a bottle of wine from one of the featured wineries. Tickets are available at the Chamber of Commerce office at 73 Jefferson Street, or purchase them online right here.